Vampire Weekend is an American indie rock band from New York City that formed in 2006 and signed to XL Recordings. 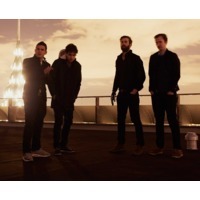 The band released its first album Vampire Weekend in 2008, which produced the singles "Mansard Roof", "A-Punk", "Oxford Comma", and "Cape Cod Kwassa Kwassa". The band's most recent album, Contra, was released in 2010.